The cobble-stoned road to the City of Lights is achievable, if not a little bumpier than expected for the disabled. Fortunately, getting around Paris was pretty much stress-free as, contrary to popular belief, we found Parisians to be rather helpful and friendly, especially in regard to airport and Eurostar travel. The streets however, were a little less forgiving. 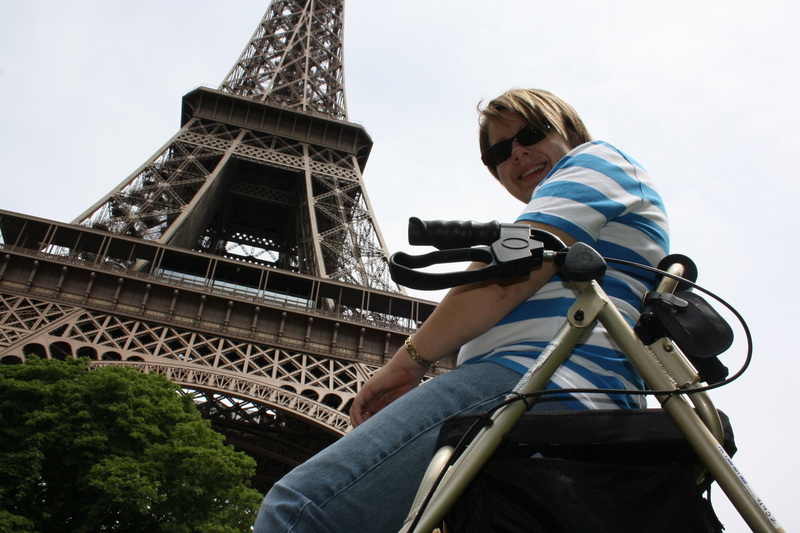 For those travelling in a wheelchair, Paris’s cobblestone streets can be a rough ride in a city which prides itself on walking tours. We struck trouble when entering the famous Pere LaChaise, home to the resting places of many famous people including Edith Piaf, Oscar Wilde and Jim Morrison. Access to the tombstones often requires visitors to walk up stairs and would be impossible for the wheelchair-bound. Standing tall at 320 metres, three floors and 1665 stairs, the Eiffel Tower is without a doubt a force to be reckoned with a few hours after arriving in Paris. Security precautions allow disabled tourists access as high as the second floor but if the views from 115 metres up do not impress then clearly you’ve come to the wrong city. Online ticketing lets visitors book in advance and avoid the queues. For those who are willing to spend a little more money, mini-bus tours are an excellent way to take in the city sights in a short time frame. With only four days to explore, this was most convenient for us. Often drivers were willing to park closer to monuments for easy access. Destinations include some of Paris’s well-known monuments such as Bastille, the Louvre and Notre Dame. Read more on Traveling with a disability.